If you feel a tingling pins-and-needles sensation underneath your skin sometimes, it could be due to a condition called paraesthesia. It causes numbness, tingling and burning sensations mostly in the hands and feet, but can occur on other parts of the body as well. When there is prolonged pressure on a particular body part due to remaining in a position for too long, kneeling down, etc. this could result in temporary paraesthesia due to blocked flow to the nerves in that particular area. In many cases, this could just be a temporary condition, but if it persists longer it could be the sign of a serious underlying health condition. Chronic paraesthesia should not be taken lightly and should be investigated seriously and proper treatment should be taken for it. Chronic paraesthesia could be caused due to health conditions such as neurological problems, orthopaedic factors, diabetes, etc. and could also be the sign of a stroke. So, a medical examination is necessary and proper diagnosis is a must. Treatments for paraesthesia include use of over the counter medications and prescription steroids, anti-depressants, etc. Natural cures will help you avoid the side-effects of these medications. Learn how to manage this condition with the natural cures given here which are very effective in treating paraesthesia. 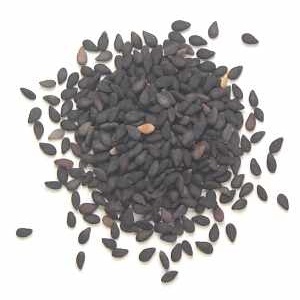 Vitamin B1, or thiamine, is very useful as a natural cure for paraesthesia. Research studies have confirmed that people who consume vitamin B1 rich food on regular basis do not suffer from numbness in their limbs. If you are suffering from regular attacks of paraesthesia, consuming vitamin B rich foods will help prevent these attacks. You can get this essential vitamin from food sources such as Tuna fish, wheat bran, sesame seeds, sunflower seeds, pork chops, pistachios, macadamia nuts, peanuts, etc. Generally, nervous disorders are the primary cause of paraesthesia and the best natural cure for it is to increase your consumption of vitamin B12 rich foods which help keep your nervous system healthy. So, if you experience a burning sensation due to paraesthesia, include lots of vitamin B12 rich foods in your daily diet. 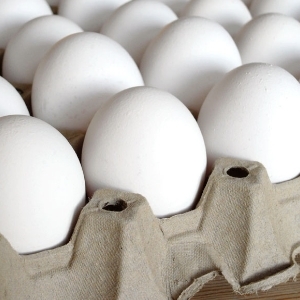 Some of the best natural sources of vitamin B12 include mackerel, shellfish, cheese, beef, eggs, etc. 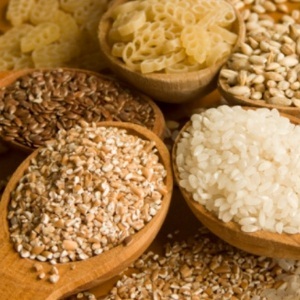 Magnesium is required by our body to maintain normal nerve and muscle function. It is necessary for optimal working of your nervous and cardiovascular system. It also helps keep your immune system strong, builds stronger bones and maintains heart rhythm. A deficiency of magnesium can lead to paraesthesia and causes numbness in the limbs. So, include magnesium rich foods such as dark leafy greens, nuts and seeds, fish, whole grains, beans and lentils, dried figs and bananas in your daily diet. This will help enhance your blood circulation and provide a natural cure for paraesthesia. The numbness and tingling sensation in the limbs due to paraesthesia can easily be relieved by massaging the affected limbs gently for a few minutes. This will help increase blood circulation in the area and you will feel much better soon. If the condition is due to diabetes, you can try massaging with primrose oil. Massage the affected area gently using this essential oil twice a day in order to cure paraesthesia. 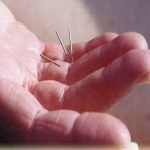 Acupuncture is an ancient Chinese medicine that is very helpful in treating neurological disorders like paraesthesia. It also helps reduce pain and inflammation in the affected areas, thus providing relief from the condition. Many people have benefited by this natural cure. Consult an acupuncturist and include this alternative treatment as an additional health plan that will cure paraesthesia. Exercise plays a very important role in the natural cure for paraesthesia. Lack of movement and staying in a position for too long can bring about an attack of paraesthesia. Frequent movement is necessary to allow good blood circulation in the body. Avoid sitting, standing, or staying in one position. Clench and unclench your fists many times if they are tingling. Walk around if your legs are affected. Light jogging regularly will help keep your muscles and nerves healthy by increasing blood circulation. Herbs can help treat poor blood circulation and numbness in people suffering from paraesthesia and are the best natural cures for prevention and treatment of this condition. Hawthorn berries can help dilate arteries and improve blood circulation, thus helping treat paraesthesia effectively. 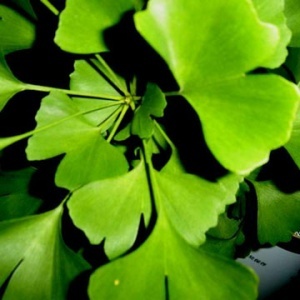 Gingko biloba is another popularly used herbal remedy for paraesthesia as it helps improve blood circulation in your body. Homeopathy is one of the best natural cures for paraesthesia as it helps provide a permanent solution for this condition without causing any side effects. Natural medicines are prescribed by homeopaths according to the symptoms and severity of the condition, taking into account many factors such as the habits of the affected person, behaviour, mood swings, etc. Some of the commonly used homeopathic medicines in the treatment of paraesthesia include belladonna, agaricus, aconite, cuprum met, chamomilla, ruta, natrum mur, etc. Constant and recurring pins-and-needles sensation due to paraesthesia can cause lot of anxiety and may give you sleepless nights. Stress reduction techniques help to provide relief from the condition and allow you to cope better. Deep breathing can help improve blood circulation in your body and provide relief from the symptoms. Anxiety can cause heightened sensation and result in more pain, so learn to deal with stress in a positive way and avoid stressful situations. Yoga and meditation can help you deal better with paraesthesia. Dehydration can also cause paraesthesia and worsen its symptoms whenever you get an attack of paraesthesia. It is important to keep your body well hydrated if you are suffering from frequent attacks of paraesthesia. Have at least 8-10 glasses of water daily in order to keep your body well hydrated and prevent numbness in the limbs. Excessive intake of alcohol is a leading cause of paraesthesia as alcohol dehydrates your body and affects the normal blood circulation. 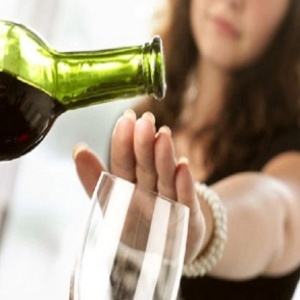 Also, alcohol can stress your nervous system and this results in paraesthesia. So, it is best to avoid alcohol. Smoking also reduces blood flow to your limbs and can worsen the symptoms of paraesthesia. So, quit smoking in order to prevent and treat paraesthesia.